A bomb exploded outside of a church in Cairo Saturday, killing the policeman trying to defuse it and wounding two other officers. 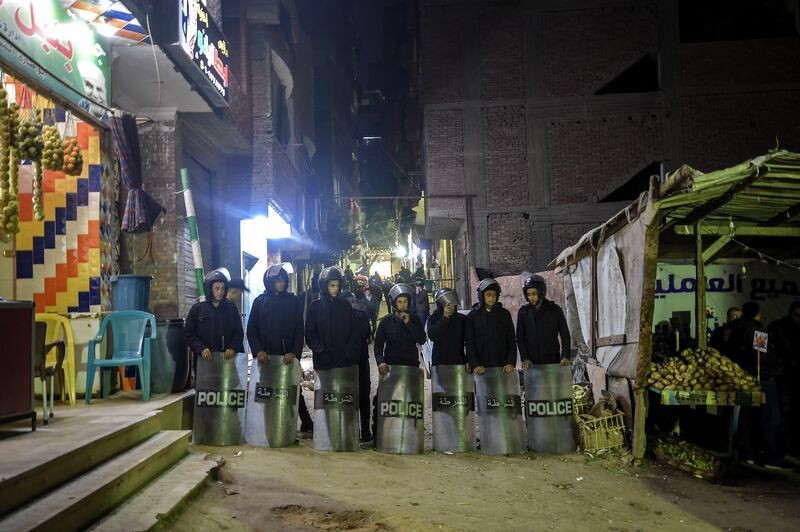 Egypt’s increase in church security comes in response to a series of attacks from the Islamic State on Coptic Christians throughout the country. Islamic militants are responsible for the murders of over 100 Egyptian Christians since 2016. While no one immediately claimed responsibility for the most recent bomb, it bears similarities to past ISIS attacks according to The Associated Press. ISIS has targeted Christians in the country not only because it believes them to be enemies of Islam, but also to punish them for their open support of Egyptian President Abdel-Fattah el-Sissi, who has worked to overtly root out Islamic extremists from Egypt. The Egyptian president is scheduled to open the Cathedral of the Nativity outside Egypt’s capital on Sunday. He has repeatedly expressed his desire to protect Coptic Christians, though many in Egypt’s Christian community have grown impatient with his administration over what they see as a consistent failure to defend them from terrorist attacks.